BLOG » 2019 Pet Portraits! Help support the Dubuque Regional Humane Society by bringing in your furry family member for a portrait session! Between February 18th and May 18th, 2019 Seeley Photography will be scheduling pet portrait sessions to help benefit the Dubuque Regional Humane Society. Session Fee: $25 per pet. All session fees will be donated to the Dubuque Humane Society. * A chance to win a complete Seeley Photography Portrait Package and gift certificate to your favorite restaurant PLUS other prizes from our contest sponsors. * A chance for your pet to be prominently featured in the 2020 Pet Calendar. NEW FOR 2019! We will be offering a Photo Book of all the pets who participate in the 2019 pet contest! Book will feature a photo and short bio of each pet. All proceeds from the photo book sales will go to the Dubuque Humane Society. Photo books are $20 each. The Pet Contest will be held on Facebook from May 20-24. Each pet that is photographed will have a picture on the Seeley Photography fan page where all of your friends and family can vote to help your pet win! To vote simply "like" the image of the pet you want to vote for. You must click on the image first and then "like" the image. The top 12 pets who receive the most votes will represent each month of the 2020 Pet Calendar. All other pets will have smaller images featured throughout the calendar. 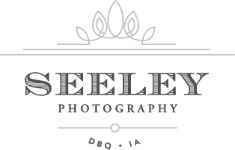 * $200 Seeley Photography Gift Certificate to use towards a future session. 1. The contest will be held on Facebook from May 20-24, 2019. The contest will end at 6:00PM CST on May 24th, 2019. 2. The pet whose image recieves the most "likes" will win. You must click on the image of the pet you want to vote for adn then "like" the image. 3. Each owner will pick out the image of their pet that they want entered in the contest. 4. $25 per pet must be paid in advance of your pet session in order for you to take place in the contest. All session fees will be donated to the Dubuque Regional Humane Society.